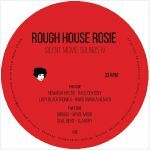 Review: Rough House Rosie is back with another selection of sublime tones in the adventurous corner of the deep house playground. The Silent Movie Sounds series never fails to present a fascinating array of producers, and so it is on the fourth volume as Nemanja Krstic seduces with the melodic delights of "Bass Odyssey" and Lady Blaktronika heads into blissed-out territory with the spiritual wonder of "Ringo Oiwaka Heaven". Miruga's "White Moon" is a mysterious, dubbed out affair and Seal Bient heads even further out with the scuffed and muffled flutter of "Slavery". 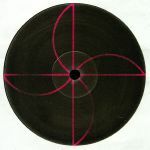 As ever, the vitality of the tracks on this 12" can't be ignored for open-minded diggers looking for original, contemporary deep house.